The Perry County Ohio Soil and Water Conservation District has begun their 2019 Fish Sale. 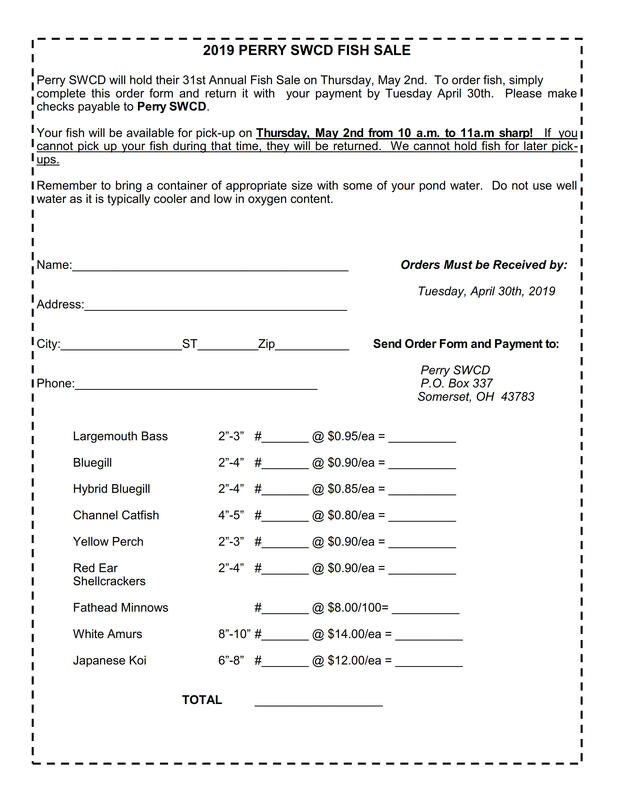 Orders will be taken until Tuesday, April 30, 2019 for pickup on Thursday, May 2, 2019 at the Perry SWCD office in Somerset, Ohio from 10:00 a.m. to 11:00 a.m. sharp! 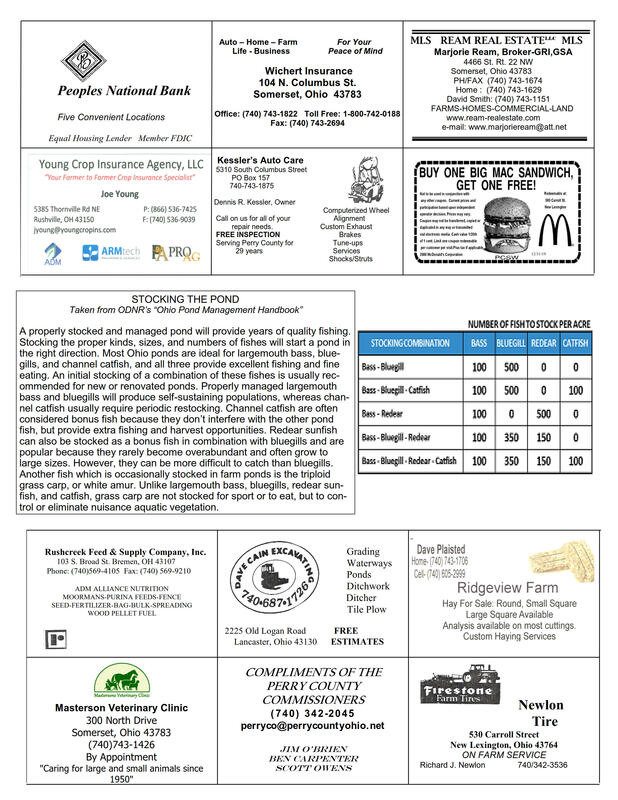 Click HERE to view/download the order form and stocking information in PDF format. Click on the pages below to view full size.